The International Door Association designated June as National Garage Door Safety Month and in celebration of this fact, we�ve pulled together a list of easy safety tips to keep your garage door operating in tip-top condition and your family safe. Avoid unforeseen mishaps and accidents by adhering to the following garage door safety tips. When opening and closing your garage, make sure your pets and children stay clear of the area. Garage doors are very dangerous and very heavy� you don�t want your child or pet to get caught in any of the moving parts! To avoid injury, keep fingers, hands, and feet away from all moving garage parts. Find a place for your wall-mounted openers or remotes that isn�t easily accessible by children. This will ensure their curiosity won�t cause unexpected injury by opening and closing the doors with others�including pets�around. An unbalanced or broken door is extremely hazardous. Keep your doors running smoothly and avoid accidents by scheduling regular maintenance inspections. If you haven�t already, consider installing an �electric eye.� The �electric eye� is actually a sensor mounted at the garage door opening, just a few inches above the ground. If the sensor picks up any movement, the door will instantly stop closing and reverse. 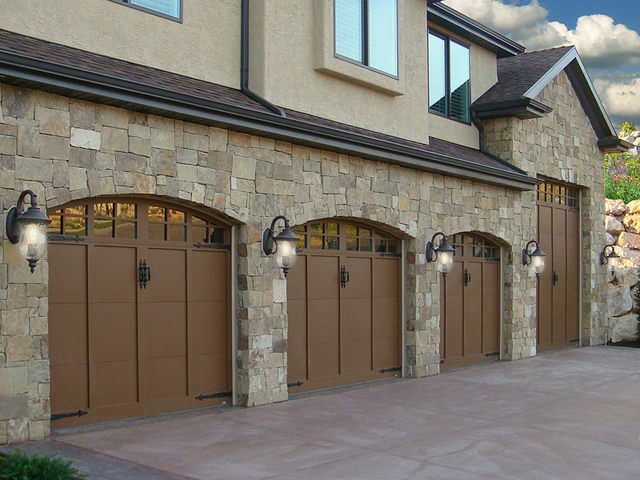 Don�t leave your garage door open. If the garage door is left open, your home may be exposed to unwanted visitors or thieves. And refrain from keeping your garage door opener in the car but if you have to, try keeping it hidden. By chance your car is stolen, a thief will have access to your home. When you�re traveling out of town, take the extra step to bolt your garage door. This way unwelcome visitors will not be able to gain access to your home through the garage. When opening or closing your garage doors, listen for peculiar noises. Strange sounds may be an indication of misalignment or worn and loose components that need to be inspected right away. Be vigilant when your door gets bumped by the car, even if there appears to be zero damage. A minor bump could cause a major misalignment somewhere in the system and either the door itself or the springs could break down much faster. Always err on the side of caution and call a professional. After pressing the control switch, don�t walk away. Take a few extra seconds to ensure the door has fully closed or fully opened. We hope these garage door safety tips help you feel more empowered to safely use the biggest machine in your home. These tips will not only aid in the longevity of your garage door, they will also keep you family safe. 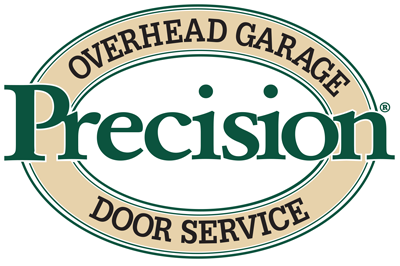 From all of us at Precision Garage Door of San Diego, Happy National Garage Door Safety Month!